Businesses are always looking for a competitive proposal from a factoring company and we are often asked how can that be achieved? It is important to present your business in the best possible light in order to make your business an attractive proposal. Here we have set out the ten top issues that need to be addressed when presenting a proposal to a Factoring company. 1. A very efficient invoicing procedure. Businesses should ensure that the invoice accurately reflect the price that the customer expects to pay and the terms of payment. The invoices that you issue are what the factoring company rely upon when they advance your company money so it is important that they are produced in a way that will ensure that your customers pass them for payment as soon as possible. Remember if an invoice has a query regarding price or quantity it will be rejected. This will result in your invoice not being processed for payment. All companies receive invoices and should be aware of how an invoice should be presented. It is important that invoices are issued as soon as the goods or services have been delivered to the customer. All invoices should be able to be supported by a proof of delivery and factoring companies see this as vital as it effectively validates the invoice. Remember your invoice will be assigned to the factoring company and they may have to take legal action to recover money owed. Today’s customer can often be tomorrows defendant in Court, so make sure that you have all the documentation to win. In an ideal world a business should have a good spread of customers and factoring companies like a business that is owed money from a number of customers. A good spread to protect both your company and the factor. Should a customer fail your business will survive if it has a spread as you do not have ‘all your eggs in one basket’. Remember the factoring company will not expect all your customers to be top rated or blue chip. A good spread of sound companies will be fine. This point really relates to my earlier point about accurate invoicing. An incorrect invoice will be disputed by the factoring company and will affect your funding. Worse still the factor will dispute the whole invoice regardless of the size of the dispute. For example a dispute of £10 on a £1000 invoice will result in a £1000 loss funding. Some factoring companies will also dispute a whole account if there excessive disputes with one customer. A continued high level of disputes will result in material changes to your agreement such as a reduction in pre-payment. 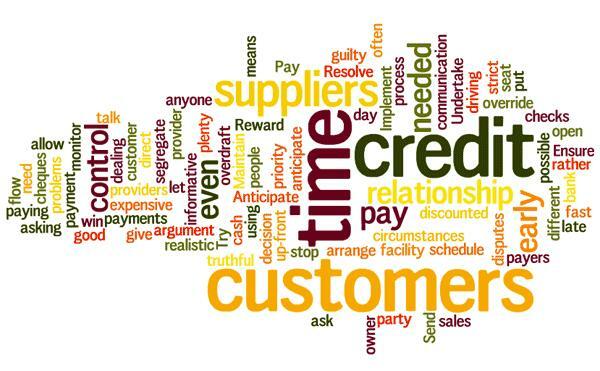 A high level of credit notes indicates poor invoicing or that customers are not happy with the product/service and have disputed invoices. All lenders like to see that companies are solvent, i.e. assets exceed liabilities. Fortunately factorings unlike Banks will consider businesses that are technically insolvent but it won’t get you the best deal. Businesses that don’t make profits generally fail so it is always better if a business is making profits. If profits are not being made it is important to demonstrate that profits are on the way and the business is not heading in the wrong direction. Credit rating agencies gather information from a number of sources and factoring companies will always carry out searches. A poor credit rating and County Court Judgments will not help your case. PAYE and VAT should be up to date. If there are arrears then there should be an agreed repayment plan in place. A trail of failed companies will concern any factoring company as they may feel the current company could go the same way. If you want to know more about the above, or if you think you are being affected by one or more of the above issues, then why not have a chat with our MD Hugh Craen. Hugh has many years experince in the Factoring industry and you can contact him directly here or at our phone number above.